WATCH // Modern Slavery: Are we complicit? 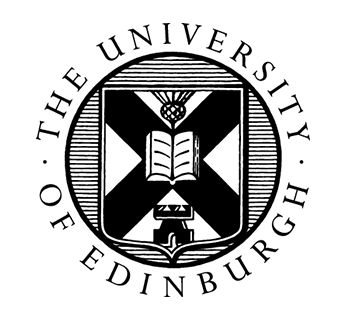 Earlier this month I was invited to participate in a panel on modern slavery at the University of Edinburgh, organised by the Department for Social Responsibility and Sustainability. The panel addressed a lot of issues, including the (potential) impact of consumer boycotts and buycotts. I called on consumers to remember they are more than consumers, and to also consider/imagine alternative ways to support workers. The event was recorded, and I’ve embedded it below for you to check out. During the discussion, I mentioned a website I had used to calculate ‘how many slaves’ work for me. I mentioned this was an interesting tool to help consumers think through linkages, but also voiced concern that context was lacking. I realise that I never mentioned the actual name of the site, so in case you’re interested and not already familiar, here it is. Bangladeshi labour rights activist Kalpona Akter shared some thoughts on this tool with Design and Violence last year, here. On the panel with me was Kathy Galloway, Head of Christian Aid Scotland, Karen Bowman, Director of Procurement at University of Edinburgh and Mei-Ling McNamara, a PhD Student in School of Literatures, Languages and Cultures at University of Edinburgh. Chairing was Michelle Brown from the Department for Social Responsibility and Sustainability. 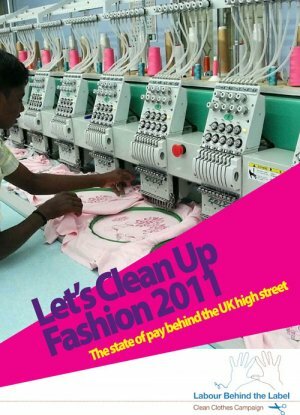 We would love to hear your thoughts on modern slavery in general, but also in the unique context of the global fashion and apparel industry. Please share in the comments, or with us on Facebook or Twitter. This entry was posted in Bangladesh, Child Labour, CSR, Events, Fair Trade, fashion, Fast Fashion, Forced Labour, Freedom of Association, Harassment or Abuse, Health and Safety, Human Rights, Labour, Responsibility, Seminar, Social, Social Conditions, Social Responsibility, Supply Chain, Torture, Wages and Benefits and tagged Edinburgh, University of Edinburgh on March 21, 2016 by Mary Hanlon. Today, we’re playing a game. Read the clues and try to figure out the location before you get to the end of this post. In this country, children between the ages of 12 and 18 are legally allowed to work long hours in all sorts of hazardous conditions as long as the job is classified as agricultural work. If the farm is classified as a ‘small’ farm, children of any age can work as hired labourers. This country’s Department of Labour estimated that 3% of agricultural workers are children however, this is a flawed measure since it does not include children below the age of 14. Other estimates are as high as 9% of agricultural workers, however, this also does not include undocumented or subcontracted workers and workers working on their own family farms. Farms in this country rely on subcontractors to provide an estimated 15% or more of their workers. These labour contractors mediate the relationship between the growers and the workers. Therefore, the growers often have no contact with their subcontracted labourers. The growers pay a lump sum to the labour contractors who often manage all issues related to wages, transportation to job sites, and pay deductions. Up to 40% of farm labourers are migrants that move with the seasons. Farm labourers are also ‘overwhelmingly poor’. These patterns of migration and poverty drive many adult labourers to ask their children to work alongside them. The impact on the child’s education can be significant. In some cases, because of the migration with the seasons, children may leave school in early spring and return in the late fall missing a few months each year. One third of child farm labourers drop out of school altogether. Both adult and child farm workers are often not paid the minimum wage. In some cases, children are paid less than their adult counterparts, in other cases, a legal loophole provides exception for small farms and farms paying a piece-rate [which encourages unsafe work practices since safety equipment often hampers work speed]. Furthermore, overtime pay is not required for agricultural workers. 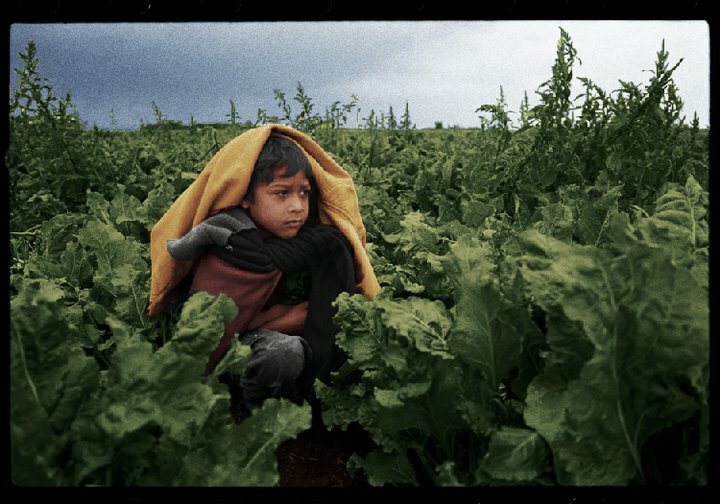 This country is not mentioned in the US DoL’s List of Goods Produced by Child Labor or Forced Labor despite the fact that the legal loopholes for farm work create, reinforce and support conditions which are in clear violation of the ILO’s convention for the prohibition and elimination of the worst forms of child labor (no. 182 adopted in 1999). 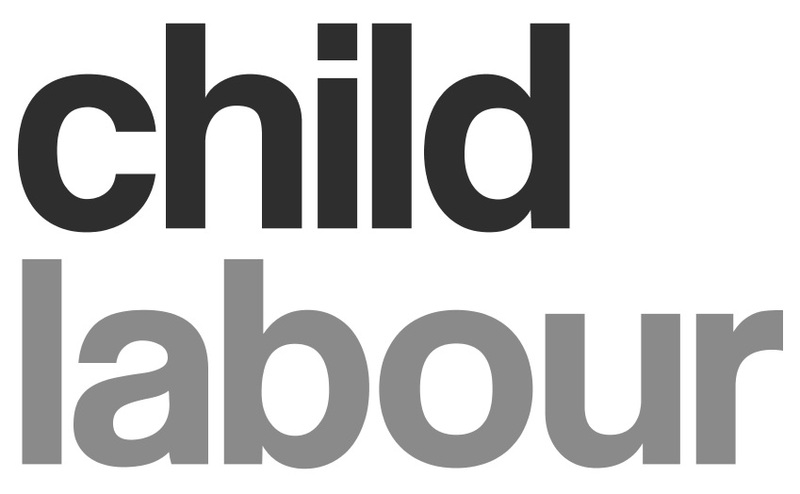 ‘Child’ in this convention is defined as all persons under the age of 18 and the worst forms of child labour includes “work which, by its nature or the circumstances in which it is carried out, is likely to harm the health, safety, or morals of children (Article 3(d))”. This country was one of the first to ratify this convention and has been very active in promoting and instituting the convention worldwide. Did I mention that this country is one of the top producers of cotton this year? Most of its cotton is exported to major clothing producers including China [the top destination], Turkey, Mexico, Indonesia, Thailand and Vietnam. The Harvest/La Cosecha – Promotional Trailer from Shine Global on Vimeo. A lot of the information in this post is summarized from this report. Thanks to Human Rights Watch for their continuous and unwavering commitment to this issue. This report contains a lot more information that I barely touched upon with enormous detail on the plight of these child farm workers. They also have first hand accounts of the working conditions the children must endure. This report is a must-read if you are interested in learning more about this issue. This is an excellent overview of the legal loopholes in the Fair Labor Standards Act (1938) which allow for these conditions. She also gives a brief description of changes proposed in the Children’s Act for Responsible Employment. This bill was introduced in 2009 and is still being churned through government machinery. You can track what’s happening with the bill here and here. This post discusses the proposed revisions to federal law by the Department of Labor to better protect child farm workers. In particular, Elk points out how slow the process has been but he does also draw attention to the next resource in the list. The DoL’s proposed changes to federal law are up for public comment until November 1st and can be found here. Special thanks to Grist.org for bringing this issue to our attention. It really made us think about our preconceptions. Sometimes, just because something is “American [or Canadian] made” doesn’t necessarily mean it is responsibly made. Growers may be fulfilling their legal obligations, which is part of their responsibility, yet they are under enormous pressure to provide products at low prices giving them incentive to maintain and perpetuate this system of labour. At the same time, we, as consumers, are also part of the problem by constantly demanding low-priced commodities. But, these low prices do not reflect the real costs of production. These issues are very complicated. There is no easy answer. At the end of it all, someone, somewhere along the line still has to pay the real cost in one way or another. This entry was posted in Child Labour, Harassment or Abuse, Health and Safety, HIDDEN NARRATIVES, Hours of Work, Human Rights, Labour, Overtime Compensation, Responsibility, Social, Social, Social Conditions, Social Responsibility, Wages and Benefits on September 11, 2011 by Nadira Lamrad. It’s no secret that the CSR industry cycles through trends of the ‘it’ topic. For a while the hottest topic was workers at Latin American maquiladores, then it was human rights in the sports lifestyle industry, then we moved on to organic cotton, and water ‘stewardship’ and the cycles continue. Lately, I’ve noticed something interesting. A new hot topic is on the horizon and will probably emerge full force into ‘mainstream’ CSR conversations within the next few years: living wages! Some of you may be thinking that you’ve heard of this issue before…nothing new! That’s true, it is not a new concept. Actually, the idea of a living wage [or fair wage, I’m going to use the two terms interchangeably until someone can tell me their exact definitions and how they differ] has been around for a long time. 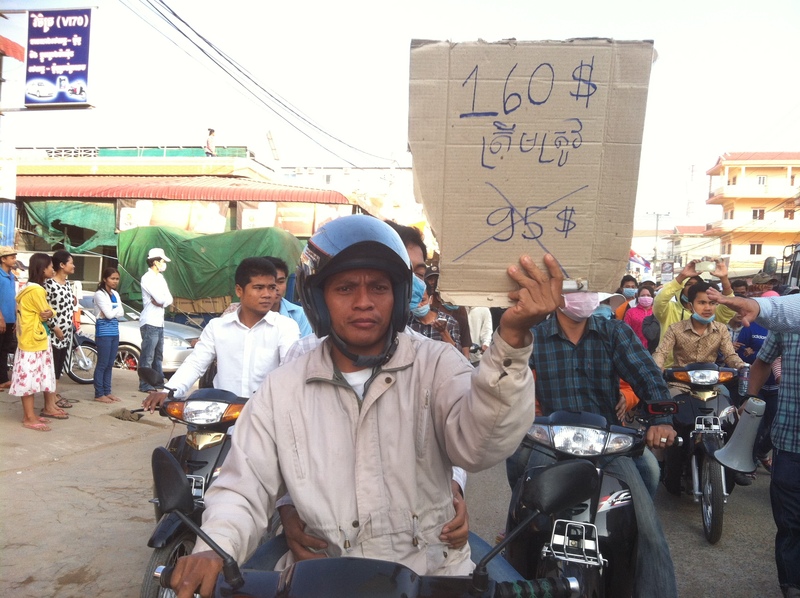 Katrine discussed the Asia Floor Wage Campaign on this very website in 2009. But, long before the Asia Floor Wage Campaign started it’s activities, fair trade products were being sold with the goal of providing a fair wage to producers. So what’s the big deal? Why am I talking about this as though it’s a hot new trend? Well, there’s been another interesting set of events this year that at first may seem unrelated. Reading all these statements and the background papers, the conference proceedings and so on that lead to the final product can be a bit tedious. Luckily, I have to do this for my dissertation anyway so, I’ll just summarize the relevant points and briefly explain the significance of these events. When Professor John Ruggie was appointed the Special Representative of the Secretary-General on business and human rights back in 2005, he had a 2-year research based mandate “to ‘identify and clarify’ existing standards and practices.” In 2007, the UN Human Rights Council extended Ruggie’s mandate for 1 year with a request for recommendations based on his research. This mandate concluded with the publication of the Protect, Respect and Remedy Framework in 2008 which was “welcomed” during the 8th session of the UN Human Rights Council. Once again, Ruggie’s mandate was extended for another 3 years during which the UN Human Rights Council requested that the Protect, Respect and Remedy Framework be operationalized. The outcome of this long history is the publication of the Guiding Principles on Business and Human Rights: Implementing the United Nations “Protect, Respect and Remedy” Framework which were “recognized” by the 17th session of the UN Human Rights Council. So what’s so important about these guidelines, and this history in general? They clarify the duties of businesses and states when it comes to human rights. What I think is especially important is the fact that the UN has basically placed corporate activity right in the middle of human rights discourse stipulating very clearly that not only does business have a responsibility to respect human rights, it also has a role in creating and supporting the mechanisms to remedy any rights violations associated with business activities. Essentially, the UN [which some have argued is the purveyor of global norms] has validated and legitimized the idea that business has a role in the governance of human rights. As a side note, one of the features of The Gap Inc., 2010 CSR report is the launch of their Human Rights policy [one of the first companies I know of with one of those] which directly references and uses similar terminology as the Protect, Respect and Remedy Framework. And so, hidden away within the background documents of a report promoted by the UN Human Rights Council as a “guidance that will contribute to enhancing standards and practices with regard to business and human rights, and thereby contribute to a socially sustainable globalization, without foreclosing any other long-term development, including the further enhancement of standards” is an indirect link between business activities and “a decent living”!! One of the objectives outlined in the ILO Declaration on Social Justice for a Fair Globalization [adopted in 2008] is “developing and enhancing measures of social protection – social security and labour protection – which are sustainable and adapted to national circumstances (p. 4)“. The document gives examples of such measures one of which is “policies in regard to wages and earnings, hours and other conditions of work, designed to ensure a just share of the fruits of progress to all and a minimum living wage to all employed and in need of such protection (p. 4)“. If you look at the 2010 set of guidelines, there is no mention of adequate pay to “satisfy the basic needs of the workers and their families” so this was definitely an addition to this year’s guidelines. But, the commentary section doesn’t mention it at all! I don’t think this was an oversight. Maybe this was a way to test this proposition and gauge reactions. In any case, once again, a reference to some sort of an improvement in wages to meet basic needs is out there in an official document. The idea is becoming more embedded in the global normative outlook even if it still hasn’t been defined or had its parameters clarified. Again, “basic needs” is used to describe the same thing the OECD was talking about; some sort of improvement in wages so that workers can afford their basic needs plus a little extra. To go a little further, the FLA stipulates that if the minimum wage does not cover basic needs plus a little extra, FLA members have to work with the FLA to reach such a level of compensation!! And so here it is, a direct call on businesses to work to improve wage conditions so that workers can afford their basic needs and have a little extra leftover! Even though many organizations have been working on promoting the idea of a living wage including the Asia Floor Wage Campaign and the Ethical Trading Initiative, this is the first time that we are seeing these ideas seep into policy related documents at the global level. And this conversation about living wages isn’t contextually relegated to ‘developing’ countries. Check out this article from This Magazine about the living wage debate in Canada. Things start to get really complicated when there are discussions about the nitty-gritty details. Whose responsibility is it to implement these types of policies? What will the wider impact on the rest of society be? How will these policies be implemented within supply chains? and the questions just keep coming. The video below is from the ETI Conference in 2008 where these questions were actually discussed (start at 1:34). At the end of the day, this is just the beginning of the mainstreaming of the conversation but it is still a start! This entry was posted in CSR, HIDDEN NARRATIVES, Human Rights, Labour, Political, Responsibility, Social, Social Responsibility, Wages and Benefits on August 31, 2011 by Nadira Lamrad.